When the scenery is this beautiful, who could blame you for letting your attention wander away from the movie screen? 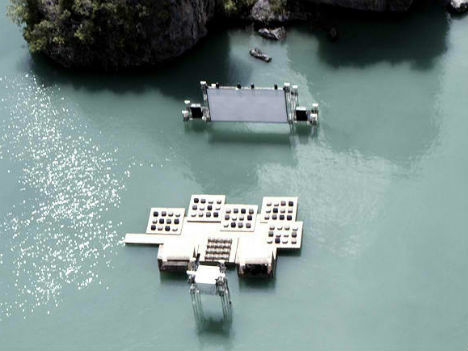 Beijing-based architect Ole Scheeren constructed a temporary floating cinema for the Film on the Rocks Yao Noi Festival in Thailand, with a platform that undulated on gentle blue-green tropical waters in the Nai Pi Lae lagoon. 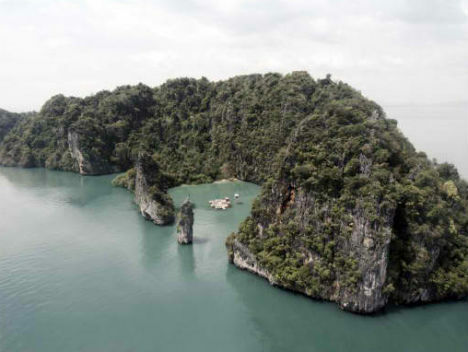 Some might argue that when you’re watching a film, you should be totally sucked into it, forgetting about your surroundings – so what should it matter that just beyond the screen are majestic, towering rock islands, or that just below the platform upon which you sit could be coral reefs brimming with colorful life? 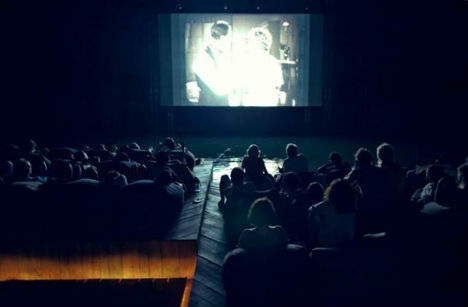 But watching a movie in a setting like this is definitely a once-in-a-lifetime experience, and your memories of whatever film you see would never be the same. 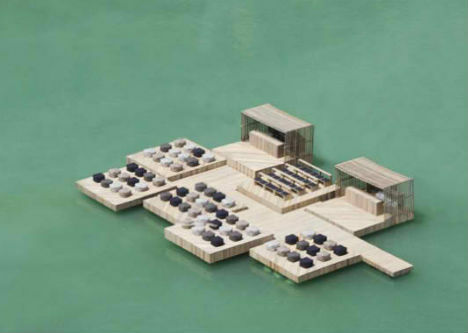 The Archipelago Cinema featured a floating screen and a raft-like auditorium where guests nestled into big, soft, cozy chairs. Scheeren adapted local techniques used by fisherman to construct floating lobster farms, making the cinema out of recycled materials. 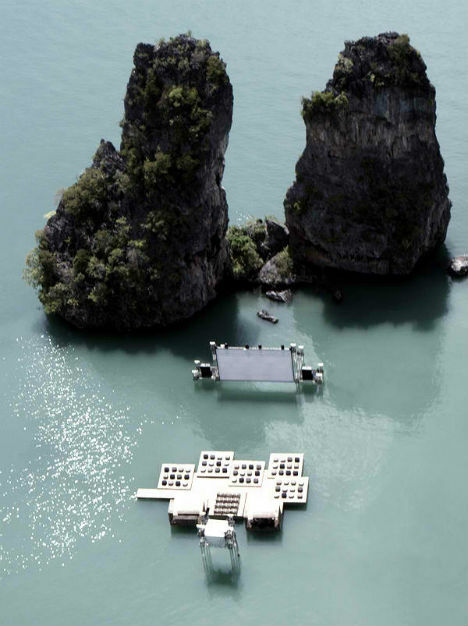 After its run as a theater was up, the cinema was donated to the community of Yao Noi for use as a playground and stage.